We're working on remaking the 1.10 version, so wait a couple of weeks and we'll have it back up! The creators of Worldly Galaxies and WarpWrath have banded together to bring you a fully-fledged content filled modpack for Minecraft 1.9.4, and soon to be Minecraft 1.10.2! Arisen showcases a ton of underappreciated mods such as Cyclic, Refined Storage, and much more! 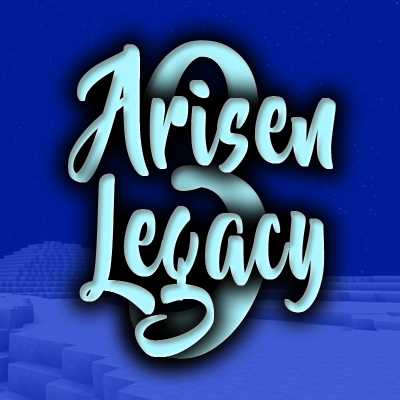 This pack is the stable release of Arisen Unstable, which is the branch of the modpack that is specifically used to push the limits of the latest version of modded Minecraft and is currently testing the Alpha version of 1.10.2. Now that the pack has been in development for about a month, we now encourage you to make servers! Just remember that the pack is in Alpha/Beta, so make sure to keep your worlds backed up often. We won't personally be releasing server files until the pack goes into release form. Have fun! Please put Crash Reports here on the forums in the comments below. PLEASE use http://pastebin.com to submit your crash reports. Do not use any other external site, and do not plain out post your crash report in the YouTube comments of mine and Warp's videos or in the comments here on CurseForge. Also, do not direct message me or Warpcraft with crash reports. The only way we will read and acknowledge crash reports is if they are submitted via Pastebin in the CurseForge project page's comments section.